Are You Being Pursued By Enemies? Are you being pursued by enemies? If so, I have good news for you today: God has a plan in mind… and you’re going to like it. These verses are referencing the way God drowned the entire Egyptian army in the Red Sea when the Israelites were leaving Egypt. See, a long time ago, the Israelites were slaves in Egypt. After 400 years of slavery, God miraculously delivered them. Pharaoh actually kicked his own slaves out of the country. The Israelites left Egypt suddenly, and they carried all the spoils of Egypt with them. But then Pharaoh changed his mind, and the Egyptian army went after them. 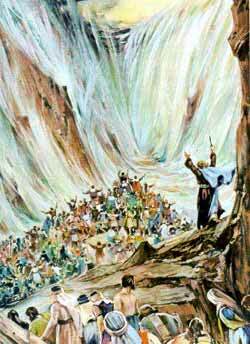 The Egyptians trapped the Israelites at the Red Sea. But Israel escaped again. Exodus 14:21-22 tells us that God actually parted the Red Sea for the Israelites, and they all crossed the sea on dry ground. Then the Egyptians pursued them. (Big mistake, Pharaoh!) When those Egyptians got in the middle of the sea, God caused the sea to go back where it belonged, and He drowned the entire Egyptian army. The verses above from Isaiah 43 tell us specifically that God “brought forth” the Egyptian chariot, horses, army, and all the Egyptian military power. This means that God pulled the Egyptian army out of Egypt. God sent those Egyptians after Israel. So God could annihilate the enemies of His people. God takes vengeance on behalf of His people. Vengeance is not our job; it’s His. And sometimes God allows enemies to come after you because your enemies are His enemies, and it’s His time to deal with your enemies. Are you being chased by enemies? Claim these promises from Romans 10:11, Deuteronomy 32:35, and Isaiah 43. Ask God to protect and defend you. You will not be put to shame. How does this message speak to you? Do you see any other gems in these passages? 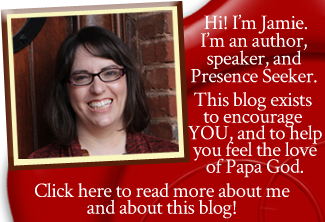 I’d love for you to leave a comment and share your ideas! Dear God I need this so badly. After 11 1/2 years my ex-husband is still hotly pursuing me out of greed for more money and racks up spiteful and hateful letters full of lies and exaggerated claims causing me grief and disturbance of my peace. I will pray these Scriptures.